STEPiNN - Corporate Point Bhikaji Cama Place is primly located in the posh area of South Delhi - Safdarjung enclave. The hotel is located at walking distance from the renowned Hotel – Hyatt. Each room of the hotel has amenities like television, makeup mirror, tea/coffee maker, wardrobe and air-conditioner. It also has an attached bathroom with hot and cold running water facility. Hotel Corporate Point also offers front desk facility along with services like laundry, round the clock room service, doctor on call. This property is just 10 minutes away from the Hazrat Nizamuddin Railway Station and 25 minutes from the Indira Gandhi International Airport. Being centrally located, all modes of transport are easily available. Value for money, superb location and an exceptional service makes it ideal for both business as well as leisure travel. When it comes to shopping in India, Delhi is the place and when it comes to the shopping of handicrafts and ethnic goods, Delhi Haat (AKA Delli Haat) is best place. 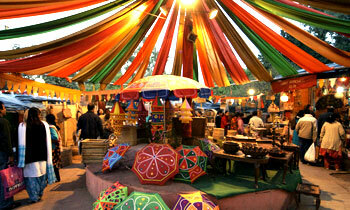 Delhi Haat is the biggest and most prominent market, specifically set up by the government to provide a platform for artistes to come and sell their merchandises. The place offers a variety of Indian cuisine and occasionally there are cultural programs and events are held running. The place is creatively designed to give a traditional look, which makes to so vibrant. 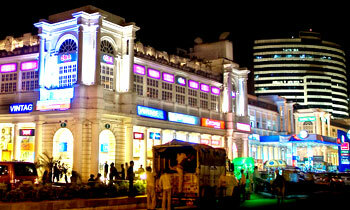 Located right in the centre of capital city - New Delhi, Connaught Place is a most busy and hurried place of activity. The place is the hub of large number of financial and business centres. Besides, one can also look for some exclusive brand stores, flea market known as Janpath, cinemas and leading contemporary art galleries. The latest addition to Connaught Place is the world famous “Madame Tussauds wax museum”. 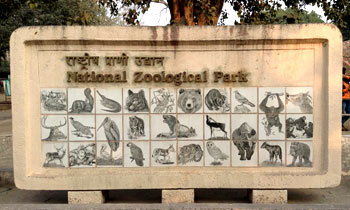 Spread over the wide area of 176 acres, National Zoological Park is one of the key attractions of New Delhi. This extensive green lands is a home to about 1350 wild life creatures representing almost 130 species of animals and birds from around the world. The recently renewed park allows you to the place on foot as well as battery-operated vehicle which can be rented at the zoo.